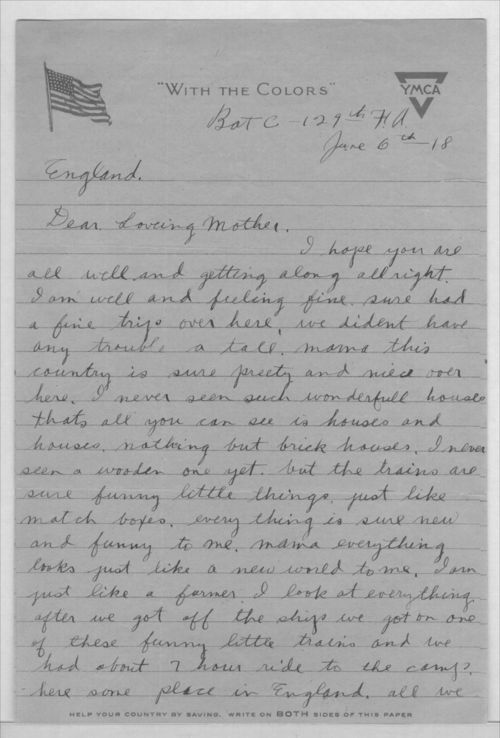 John A. Gersic writes a letter to his mother while in England. Gersic lived in Kansas City, Kansas, at 266 N 5th St. He served in Bat. C. 129th Field Artillery during World War I.